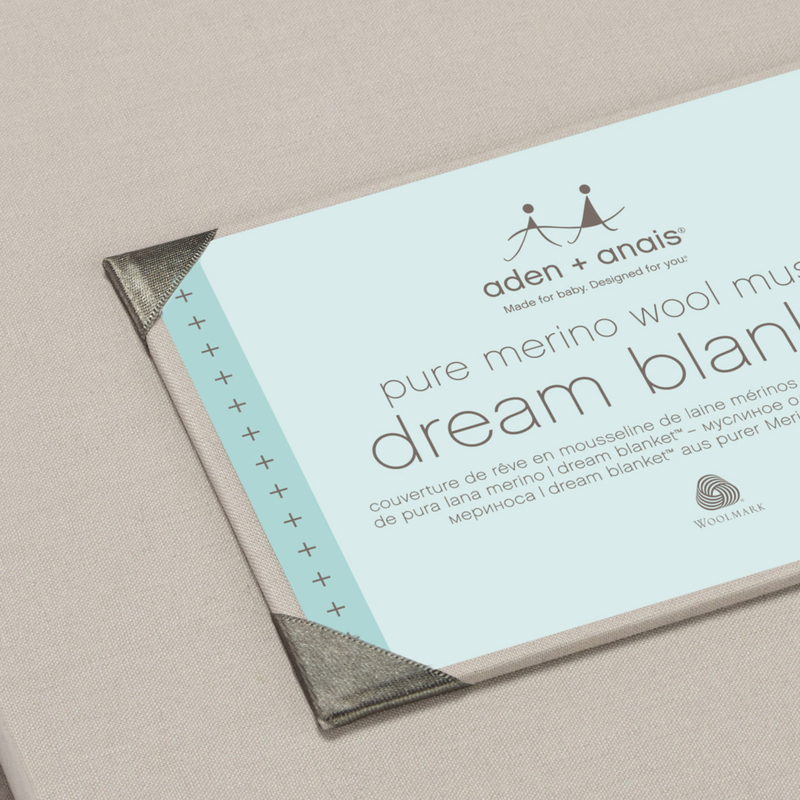 aden + anais were tasked to expand their line to very high end, luxury boutiques and stores. A partnership with Woolmark AU helped to create the first merino woven wool products that were machine washable and super soft. 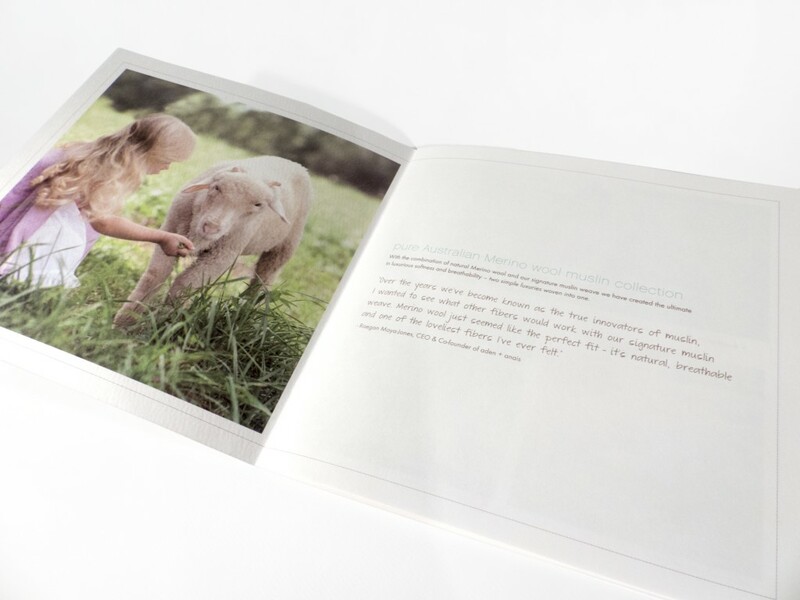 Each product was hand dipped dyed. 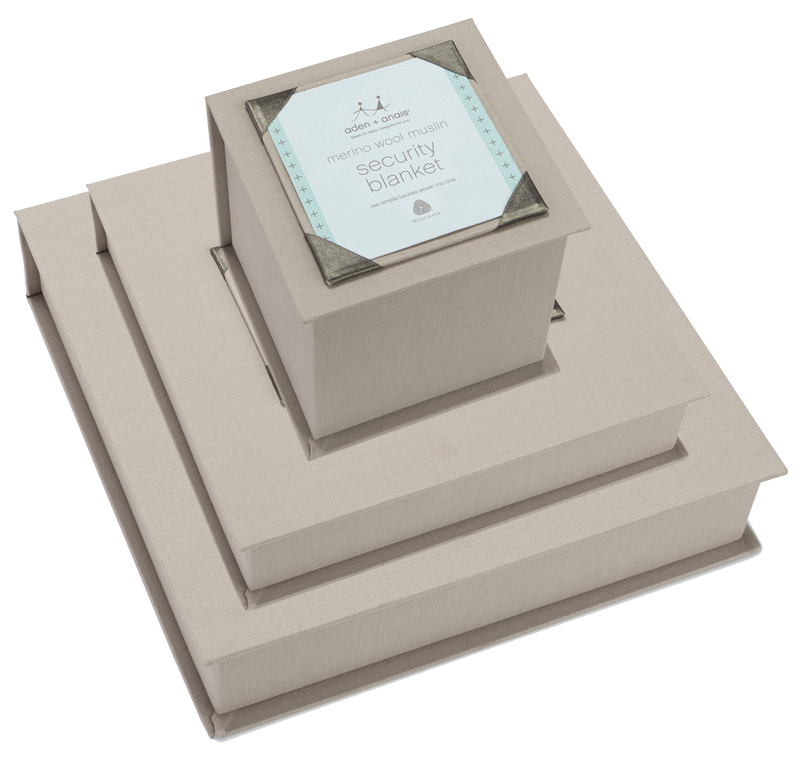 Such a delicate and precious product needed special packaging. 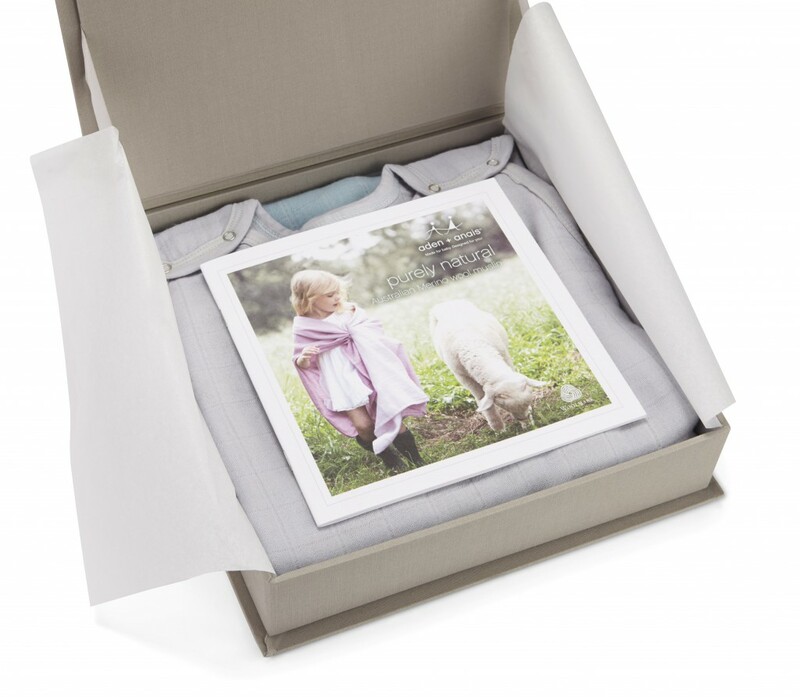 The products were encased in linen-covered memory boxes, with a placard where the consumer could insert a baby photo or note. The product information cards were printed on uncoated felted stock in the signature aden + anais colors.